Raised on a farm in Mississippi, playing in churches in the daytime and juke joints at night, playing lead guitar for the legendary Bobby Rush….with that pedigree, expectations are high. Dexter Allen delivers on all fronts of high expectations. His diverse background serves the listener well on this latest effort with blues, soul, funk, and other styles that keep you glued to the speakers throughout the CD. He can make you jump around and dance joyfully with the rollicking “Ride This Train” or the electro boogie funk of “Have A Time”. 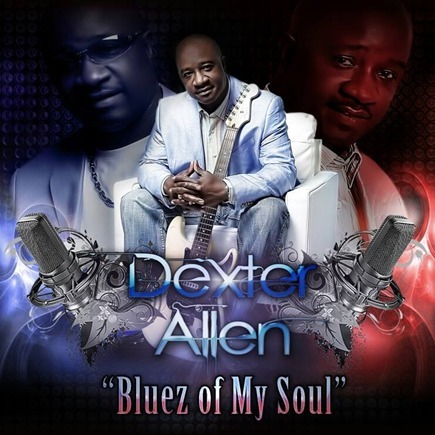 Then he can nearly bring tears to your eyes with life experience tracks like “Still Called the Bluez” and “Deep Inside,” the latter especially delivering on the expectations that Dexter can sing. And man does he belt it out with incredible emotion here. Perhaps the highest expectation is on the six-string and you can easily hear why Bobby Rush tapped him as his lead axe-man, because he can shred the blues with the best of them. Blues is one of those genres where the cynics wonder how it can keep going, thinking it has all been done before. Not only does Dexter keep the blues alive, but he is they type of more modern blues master that makes you think others could be citing him as an influence when still playing the blues decades down the road.